A ciborium is a cup-shaped container that is charged with holding hosts during and following the celebration of the Eucharist. Expand the capacity of the ciboria with this stackable vessel with lid. This ciborium holds 1,000 hosts and has a satin finish and easy-to-grip handle. 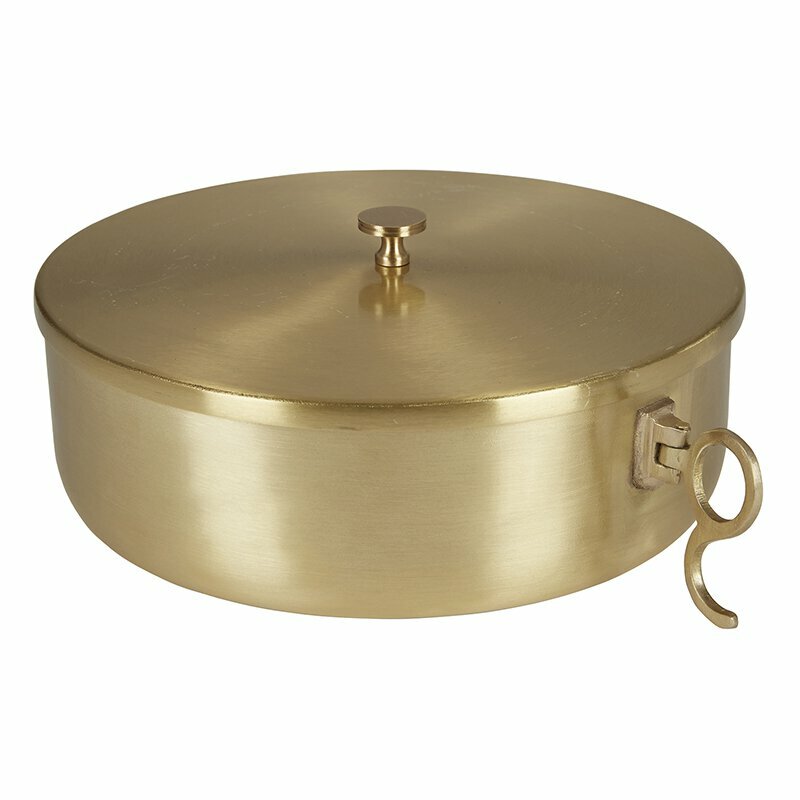 Made of lead-free, 100% food-safe brass, then gold plated to meet high quality standards.